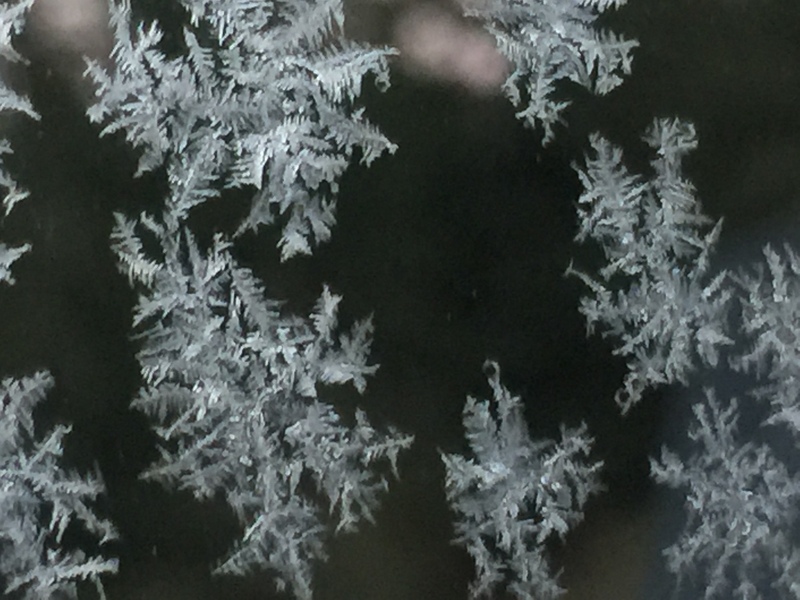 Rob was able to capture these ice crystals this morning when he went out on hours and hours of errands with the kids (Bless that man!). I stayed home to clean, do laundry, and otherwise organize things after a busy holiday season followed by a few days away at the coast. One thing I wanted to do is make a menu plan. Ready or not, our busy life starts again tomorrow! We both do better if we are not staring at one another saying “what do you want to eat” while the children demand food. Our breakfasts are usually yogurt, cereal, toast, and often, leftovers. Each person gets what they want. Our lunches are usually leftovers, salads, packed lunches, or sandwiches. So, I’ve just written down 1 meal per day. Sunday: Big birthday lunch at my sister’s house after church. We are celebrating 3 birthdays. There will be sub sandwiches, soups, and dessert. My share is a large platter of lettuce, tomatoes, onions, pickles, etc. and gluten free buns. I made those today. I pull vegetables from the canning cupboards or freezer daily to go with these meals. Right now, I have frozen broccoli, cauliflower, squash, green beans and a few pea pods to choose from. I have home-canned carrots and beans. One of Rob’s errands was to get large bags of lettuce from Cash and Carry so we will have enough for the condiment tray for tomorrow and salads all week. He also got us huge bottles of salad dressing there, for a much cheaper price than the regular store. He also went to Costco for a few things, and finished up at Fred Meyers. I had him pick up tomatoes, too, but am not sure where he got the best price, as he isn’t home yet. I have home-canned pickles, and home-grown onions from our garden last summer. 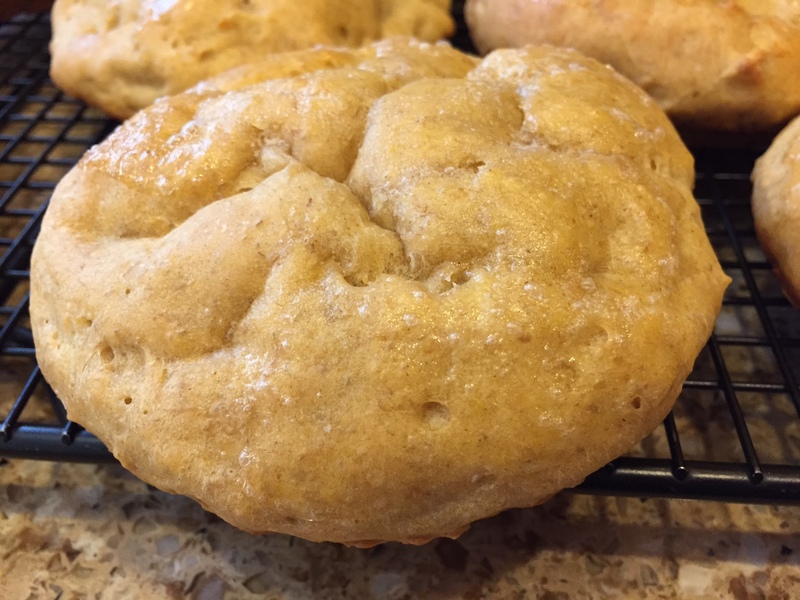 We will make gluten-free muffins, cornbread, or other gf bread products on occasion when we have time, for breakfasts and to go with dinners. Often, though, we have a main item, salad and a vegetable, or 2 vegetables for a meal and forget the bread product entirely. I wrote this information on the whiteboard for all to see. My children thrive on routine and order. We can change the menu, though, with a swipe of the eraser, if need be. Such a beautiful photo of the snow flakes. God’s wonderful creation. As soon as things go back to normal in my home I’ll be writing my monthly menu plan. At the moment we are eating out of the freezer and pantry and not needing to buy much at all. We are very stocked up right now, as well. Actually, I hope to bring the huge stockpile down a bit in the next few months and use up some of the foods that have been there for a long time before they go bad. The freezers are super full right now because of everything we’ve put in there during the summer. We also have pigs growing right now down at the barn, so I need to make room. Rob certainly did a great job of photographing those ice crystals. They are so pretty. Sounds like some delicious meals. I have a pot of baked beans going and made some salads. Told everyone that for the next couple of days there’s those and sandwich fixings in the fridge. Hopefully they’ll listen! And, yes, I LOVE that picture.